Help your children to learn about length with our bumper collection of resources. 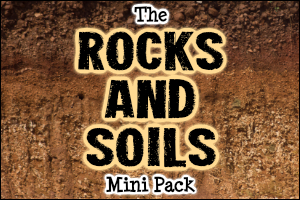 This pack includes a complete topic guide, display materials and lots of practical activities to use with your children! A Fourteen Page Topic Guide – Help your children to learn about different aspects of ‘length’ with this full guide. 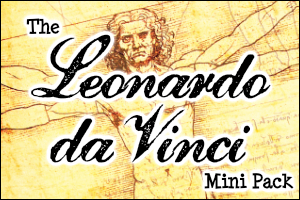 Includes information about ways of measuring length, standard and non-standard units, converting units, calculations with measurements and more! Seven Pages of Length Vocabulary Labels – A collection of vocabulary labels that you can use on classroom display boards or as part of group discussion activities with your children. Six Measuring and Comparing Printables – Collections of images of different sizes. Can your children describe, compare, order and measure the pictures in each set? Three ‘Measuring with Non-Standard Units’ Pages – Challenge your children to use non-standard units (i.e. counters, coins, cubes or hand spans) to measure objects like the ones shown. Seven Pages of Animal Outlines – Ask your children to measure the outlines of these animals using standard or non-standard units and record their measurements on the table provided. Four ‘Measuring Lines’ Activity Sheets – Give your children practice measuring lines with these printable activity sheets. Two Pages of ‘Measuring Shapes’ Printables – Can your students measure the dimensions of these shapes and then work out the perimeters? One ‘Animal Heights’ Display Resource – A collection of posters that you can use to make a display that shows the heights of different animals. One ‘Animal Heights’ Matching Activity – Can your children match the animals to their heights? Six ‘Identity Parades’ – Can your children work out the mischievous animals in these identity parades by solving the measurement clues? 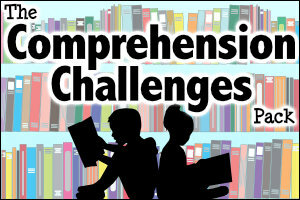 Forty-Eight Length Challenge Cards – A set of cards that include a variety of length challenges, covering measurement, conversion, perimeter, word problems and statistics. One Set of Length Follow Me Cards – A set of 32 length questions with jumbled answers! Read one of the questions and challenge the other children to find the matching answer. Then read out the question on that card and continue until you have matched every one! Ten Sets of Printable Rulers – A set of 20cm rulers that children can use for their measuring activities. Various styles and textures are available (including a ‘Maths Facts’ design and a blank version so that your children can add their own images and / or information). Forty-Eight ‘Estimate the Length’ Photo Cards – A collection of 48 cards that show photos of different people, animals, places and objects. Use them with our suggested teaching ideas to explore the sizes of different things. Five Display Banners – A set of printable banners to add to your Maths display boards. Watch the video below to view samples of resources from the Length Pack. I have found the Length Pack very useful for my class of 8 and 9 year olds. They particularly enjoyed the identity parades activities. This was the first teaching pack we chose. My home educated children have really enjoyed completing it. The information pack has been laminated and used as reference many times since it was printed off. Their favourite activity was the 'Identity Parade', which is a brilliant and engaging way of making the children use their brains. We are about to finish the magnets mini pack and move onto the light mini pack. Looking forward to seeing what it contains. A wonderful introduction to length through the presentation and then a range of activities and display materials. The children enjoy the graphics. Such a reliable resource that saves so much time. Thanks. I have just downloaded the length pack and once again am thrilled with the range of resources within the pack. The ppt is excellent and will make a wonderful handbook for the older children in our small school to follow, and to annotate for themselves. This is important as we have so many children from all around the world who need to translate information into their own language to help them assimilate it. Thank you once again. Another great pack from Teaching packs. So much included, a great guide to get discussion going in class and lots of excellent resources to support teaching and learning. 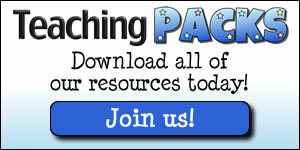 This is one of the best teacher support sites, the packs are so well researched and include all you could need. Thanks so much, they save me a lot of time.